Kat Shoesmith, is the designer for KSD- Kat Shoesmith Designs. She participated in the DFF Mentorship Programme and is one of ten interns that were chosen to go to Milan for a two-month internship (Congratulations Kat!). 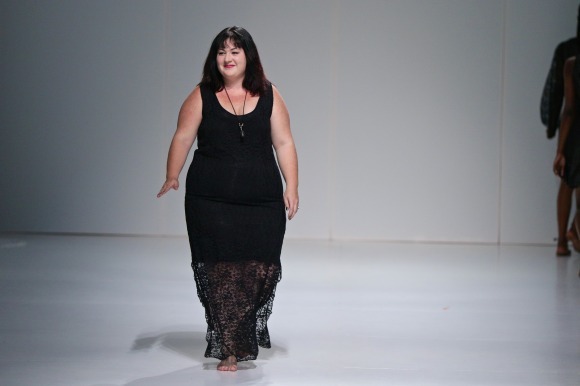 Kat showed a ready-to-wear women’s wear collection at this year's Durban Fashion Fair. Her collection was inspired by a quote from Edgar Allen Poe ‘We loved with a love that was more than love’. The range depicts a dark gothic romanticism and a desire, which she believes is within most women. For the collection Kat focused on finding texture and tones within the basic black and shades of green fabrics. She has worked with a mixture of light and heavy weight woven materials to combine structured silhouettes with the softness and femininity of softer chiffons. The combination of texture and movement within the fabric gives this range a new level of aesthetic appeal.